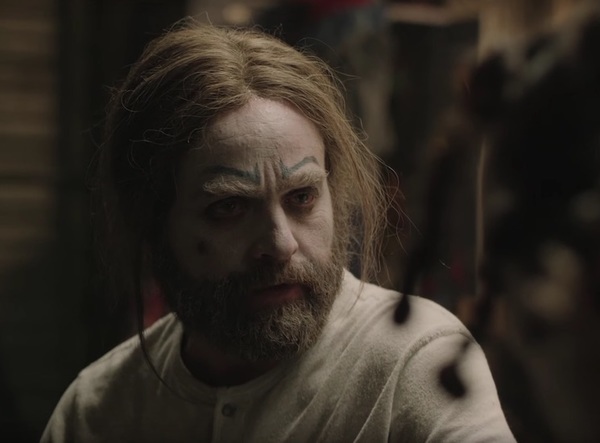 Baskets is quite possibly the best television series about a chain-smoking, rollerblading rodeo clown, and it's certainly the best show where Costco seems to be its own character. Fortunately, this singular and strange comedy isn't going anywhere soon, as FX has just renewed it for a second season. The show was created by Zach Galifianakis, Louis C.K. and Jonathan Krisel, and stars Galifianakis as the titular Chip Baskets. He's joined by the perpetually broken-armed Martha Kelly and Louie Anderson, who is incredible as Baskets' mother. The Hollywood Reporter explains that the show has been picked up for a second season, which will air in early 2017. In a statement, FX's Eric Schrier said, "Baskets is bold, brilliant and incredibly funny and we could not be happier with the reception it's received in its breakout first season.... Baskets brings together three of the most innovative comedic minds working today — Zach, Louis and Jonathan — and we thank them, the rest of the creative team and the entire cast for everything they've done for the series." Baskets still has five episodes left in its first season, which concludes on March 24.